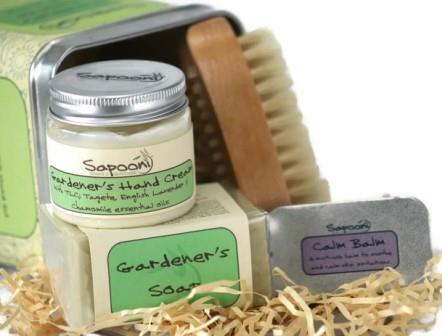 Our Gardener’s Gift Tin contains a selection of natural, handmade soaps and skincare, formulated to nourish, cleanse, soothe and protect gardening hands. 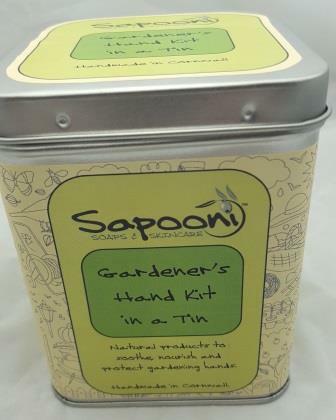 The handy tin is great for storing string, seeds and bits n bobs! 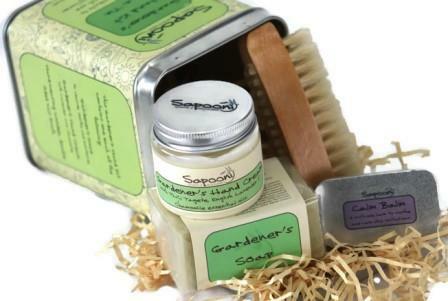 Our Gardener’s Gift Tin contains a selection of natural, handmade soap and skincare; formulated to nourish, cleanse, soothe and protect gardening hands. All neatly packaged in a handy aluminium caddy, which can be used to store seeds, string and other bits n bobs. What’s in our Gardener’s Gift Tin? 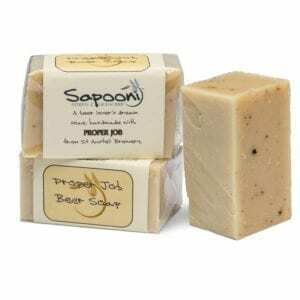 A gently exfoliating soap, packed with oodles of lovely ingredients.This natural, handmade soap gives hard-working gardening hands the TLC they need. It’s made with a base of olive oil & coconut oil, to give a rich, nourishing lather. We’ve added a herbal infusion of St John’s Wort (used for centuries for it’s natural healing properties) and green clay to gently draw out in-ground muck & dirt, and Aloe Vera , Cornish honey, Cocoa butter & Glycerine for their skin soothing properties. 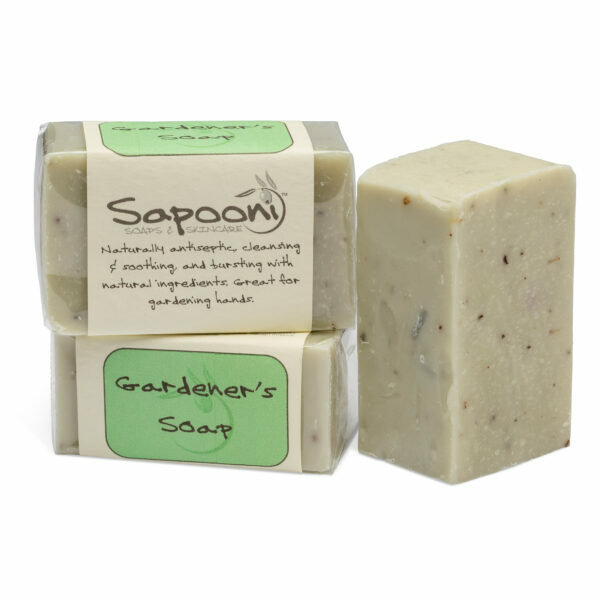 Scented with our own blend of soothing & antiseptic essential oils including Lavender, Tea Tree and Patchouli. 100g e bar. St John’s Wort; We infuse this, then add the leaves and liquid, to capture all their natural goodness. Reputed to be anti-inflammatory, and effective on sprains, burns and bruises. Cocoa Butter; A wonderful moisturiser to nourish dry, itchy or chapped skin. French green clay; We’ve used this because of its gentle nature, high mineral content and absorbent properties, to help draw inground dirt out of the hands. 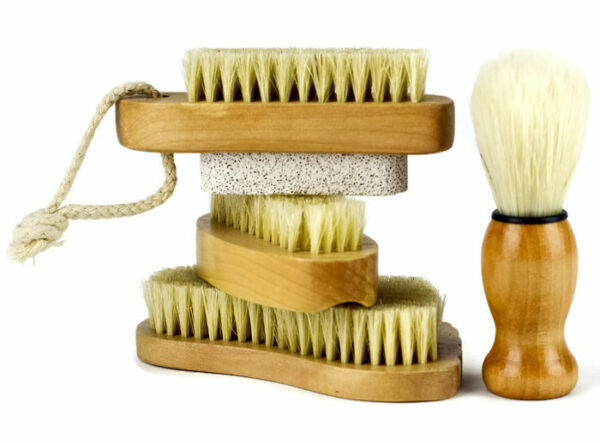 Glycerine and Honey; Both humescants- that is, they help to seal moisture into the skin. Glycerine is a natural product of the soap-making process, and is removed from many commercial soaps; we add even more, as it’s so good for the skin. Honey is often described as “nature’s first aid kit”, as it’s naturally antiseptic and cleansing. Patchouli, Lavender and Tea Tree essential oils; Used for their natural healing, soothing and antiseptic qualities. Combined, they give the soap a soothing, clean scent. Its nourishing and moisturising but not heavy and greasy so it soaks in quickly and completely. It’s packed with TLC- We’ve added a blend of Tagete, Lavender and Chamomile essential oils, which have been used for centuries to soothe, calm and heal dry or irritated skin. Use little and often for maximum benefit. 60g jar. Our Calm Balm is a tin of soothing goodness, luxuriously made with 100% natural, plant-based ingredients. Multi-purpose, it can be used to soothe, calm and nourish dry or irritated skin. We’ve blended Calendula and Comfrey infusions, Arnica, Rose Geranium, and Chamomile essential oils to help soothe the skin. Our blend of nourishing base oils and butters are deeply moisturising and nourishing. 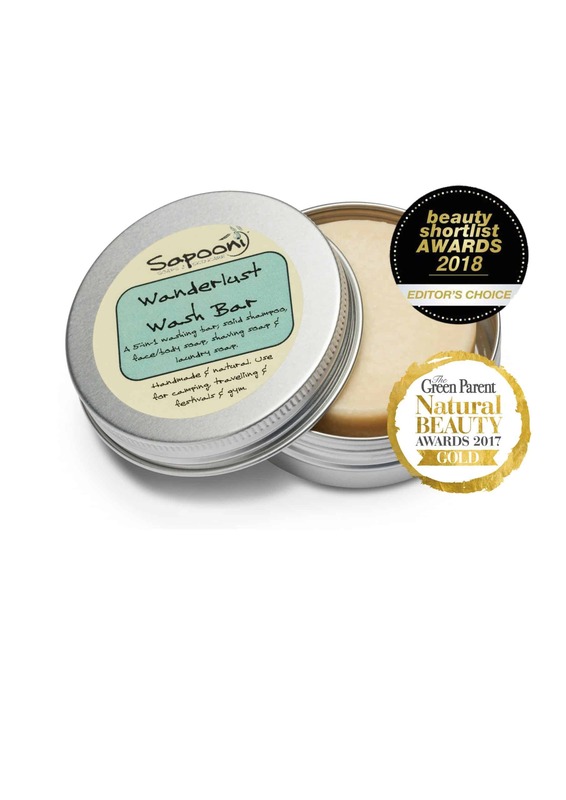 Helps to restore skin elasticity and repair damaged tissue.This balm can be used on skin irritations like eczema, dry skin, insect bites and rashes; a little goes a long way… 20g aluminium recyclable tin, with a handy slide lid. Mango butter; Extracted from the kernel, this is a sweet-smelling soft white butter. Helps to restore and maintain the skin’s moisture, and promotes cell regeneration. Marshmallow root oil; Used externally for its anti-inflammatory properties to treat skin irritations, burns, sores, ulcers and wounds. Also boosts cell immunity. A nail brush with attitude, perfect for cleaning hands and nails after a hard day’s gardening. 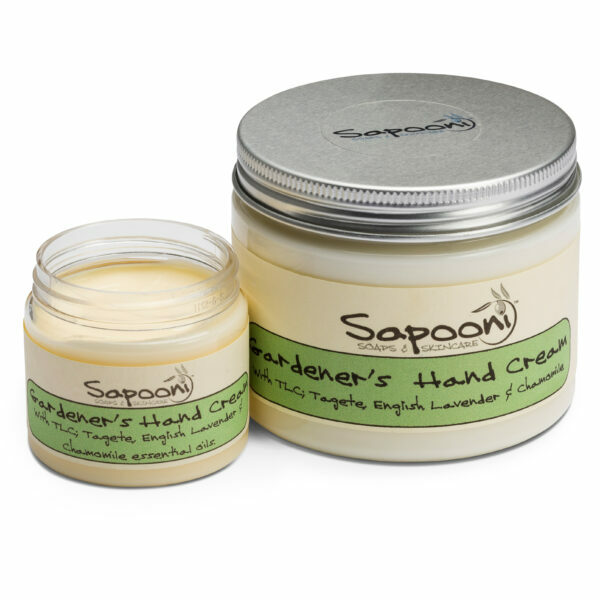 See individual listings for full ingredients of the soap, balm and hand cream contained in our Gardener’s Gift Tin.